How to Find the Best Yoga Schools in India? Home » Uncategories » How to Find the Best Yoga Schools in India? Choosing a yoga school in India can be quite overwhelming as there are plenty of yoga schools across India that offer basic and advanced yoga education. Going through the right yoga education is really important if you want to learn yoga postures, meditation, and breathing techniques and even if you want certification through which you can become a certified yoga teacher. The most important thing that you should know about joining yoga schools in India is the different branches of yoga that they teach. While some yoga schools provide training on hatha yoga, some would focus on other styles. To begin with, you may want to ask some of your friends and colleagues about yoga schools that they have attended or would recommend. This would allow you to narrow the list of best yoga schools in India and look for the top few schools that offer the right training as per your budget and requirement. You may also want to focus on the curriculum because you should always look for schools that also provide you with advanced level of yoga in case you want to make the best use of the knowledge and skills you acquire. Also, different schools have a different fee and therefore you need to look for yoga schools that do not charge you more for the teaching. 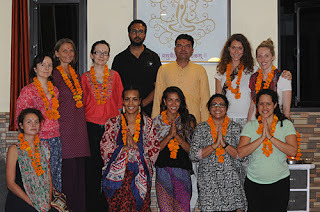 If you are searching for Rishikesh yoga school, Kaivalya Yoga School can offer you yoga training you need. The school offers internationally recognized courses and in-depth knowledge about yoga that would allow you to develop the harmony of your body, mind, and soul.